Featuring a new horizontal swing, vari-angle monitor, full-HD movie recording and Nikon’s easy-to-use entry-level menu for easy photography from more angles. TOKYO – Nikon Corporation is pleased to announce the release of the Nikon D5100, a Nikon DX-format digital-SLR camera equipped with a new horizontal vari-angle monitor, and Nikon’s latest CMOS image sensor and the new EXPEED 2 image-processing engine that enables high-resolution rendering and rich expression of tones. The D5100 is a member of the popular D5000 series, which was the first Nikon digital-SLR camera series equipped with the vari-angle monitor that allows users to enjoy photo shooting from a wide variety of angles. 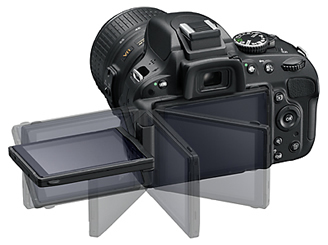 The vari-angle monitor adopted for the D5100 has been enlarged to three inches and now utilises a side hinge that enables better flexibility during hand-held shooting or when mounted on a tripod. The camera is also equipped with the D-Movie function that supports recording of full-HD (1920 x 1080p, 30p) movies, as well as a Special Effects mode with which a variety of special effects can be applied to still images and movies. The D5100 was designed to respond to the needs of a broad range of users, from those using a digital-SLR camera for their first time, to those looking for one that allows them to express their individual sense of creativity through high quality images and the ability of HD movie creation. can you compare nikon and canon dslr cameras also? Nice post, love this post. Really this post touch my heart. Thanks for share your knowledge. Hiya, Great Blog article! I have just retweeted this valuable post to my followers. It?s actually a great and useful piece of info. I?m glad that you simply shared this helpful info with us. Please stay us informed like this. Thank you for sharing. amazing website you have here. 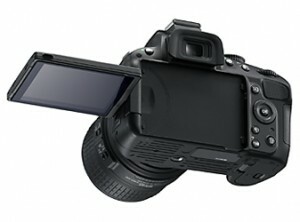 I am Planning to buy Nikon D5100 But before I buy I need advice of others how is this camera. Generally all websites praise it. Hello, Neat post. Please recommend some good Lens Which are compatible with Nikon D5100 and works in autofocus mode. Have you ever considered about adding a little bit more than just your articles? I mean, what you say is valuable and all. Nevertheless imagine if you added some great visuals or videos to give your posts more, “pop”! Your content is excellent but with pics and video clips, this blog could definitely be one of the most beneficial in its niche. Amazing blog! im looking at getting some vintage cameras like the box brownie or a holga etc but i want to see what type of photos they produce but i cant find any websites so does anyone know any websites with vintage cameras and the types of photos they take. 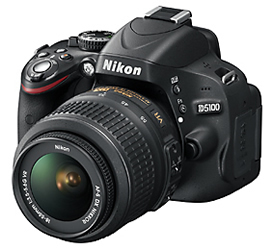 please give price of nikond 5100 Nkon d5300 so that I can buy nikkon dslr camera in dealer.